A good set of makeup brushes will last you seven years if taken care of properly. Spring cleaning — fun? For some of us, yes; for the rest of us, no. I understand the urge to purge as the new season rolls in, and it is so nice outside in the Arizona sun. Many of us are quick to take on certain tasks, but we may forget our makeup bags. As we switch over to cosmetics that are more natural and organic, we need to keep in mind that these products do not contain the preservatives that are found in traditional products. They will not last for five years in a dark drawer like the non-organic products do. For example, mascara is a frequent harbinger of bacteria and should be replaced every three months. Natural makeup can take on the smell of crayons when it has gone bad. The standard shelf life is one year for foundations, powders, blushes and other makeup. Keeping your skincare products in a cool, dry spot or even in the refrigerator is a trick that can keep the products from spoiling too quickly. A good set of makeup brushes will last you seven years if taken care of properly. The bristles should be treated like natural hair. Once a month, shampoo and condition them, being careful to keep the bristles smooth and laying them out flat on a towel to dry. Voila! 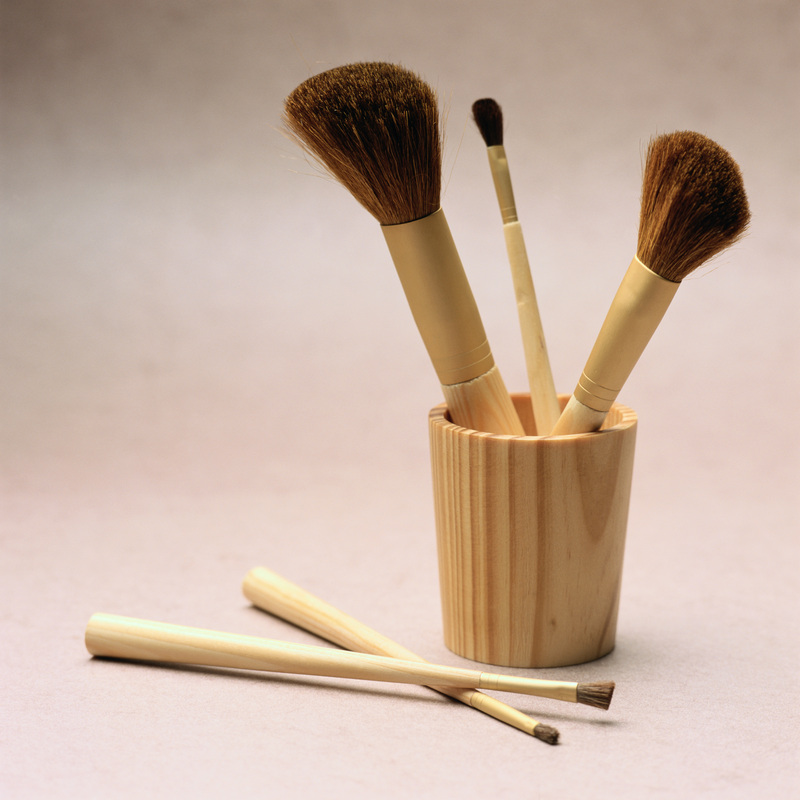 Your beautiful brushes will feel like new and will not cause the spread of bacteria that can cause acne. We recommend a thorough brush cleaning on the first of each month. Sometimes it is hard to let go of that perfect lipstick or eye shadow, but maybe this year is the perfect opportunity to freshen your look and switch to a healthier version. Remember, if you wear a lip product every day, you will actually eat approximately two tubes a year. As we look into the new season, we are seeing beautiful, fun trends. Blue eye makeup is back in style again, but not a navy shade — it is now what the manufacturers call a “maritime” blue. You can either leave lips alone and wear tons of eyeliner, or do the flip side and choose cherry lips or berry glosses with very little eye makeup and more defined brows. Fresh, clean and healthy is a welcome spring palette this year. Stephanie Schmidt is the owner of Verde Salon – Organic Beauty in Chandler, Ariz., and has more than 20 years’ experience promoting all things natural. She believes the most important results from her color formulations are healthier and shinier hair. 480-786-1111 or verdesalonaz.com.